Our vision is to create an intergenerational camp environment where everyone feels safe, secure and accepted. Camp Thorpe is dedicated to providing a fun and safe camping experience to children and adults with special needs. 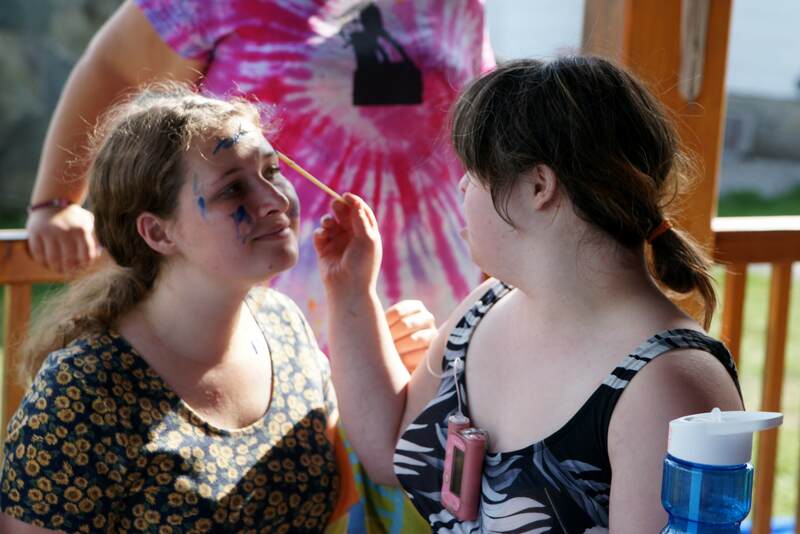 We recognize that activities must be tailored to each individual camper’s abilities and needs. We believe that successful camping experience includes a sense of belonging, respect, fun and individual freedom, as safety allows. We believe that campers and their families benefit through close interaction with a staff that is multi-cultural, caring, and committed to high quality care. We value the contributions of full time and summer staff, and want them to have the best experience possible. We recognize the importance of dedicated volunteers for the effective governance and support of Camp Thorpe. We value high quality, accessible facilities for campers and staff. We celebrate the natural beauty of Camp Thorpe and are committed to its preservation. We embrace the extraordinary vision of the Rev. Walter and Lavinia Thorpe to provide a positive camping experience for children and adults with special needs.